Products used: Customization Services, Advanced Blogs, etc. 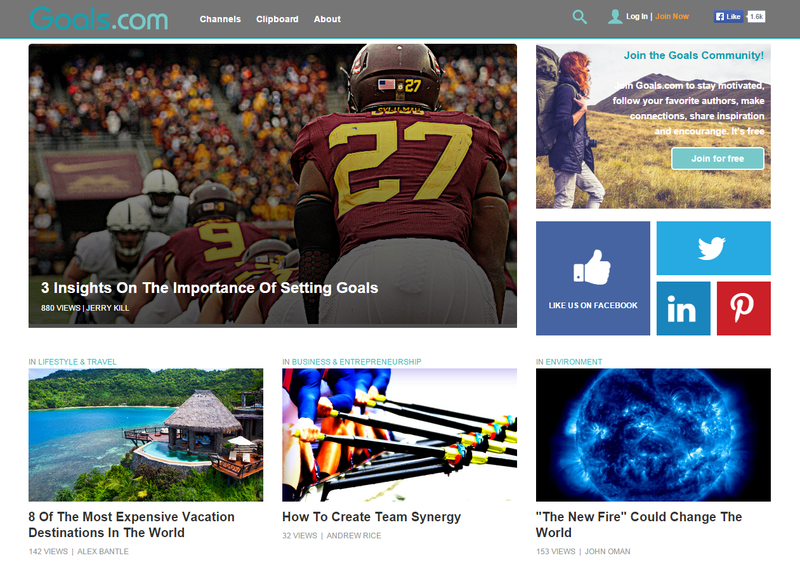 Goals.com is a community of goal setters and achievers dedicated to improving their lives. Here, you’ll find your number one source of tips, inspiration and advice on achieving goals in every aspect of your life. We are devoted to creating a community full of inspiration and information to give people the support they need to do the things they’ve always wanted to.